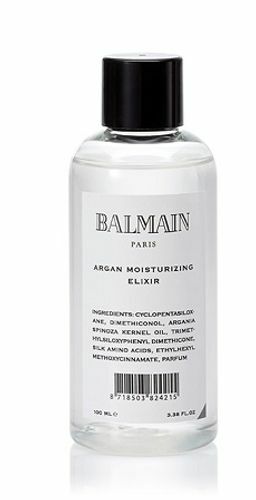 Treat your locks to the Argan Moisturising Elixir from Balmain Hair. Fortified with Silk Protein and Argan Oil, the nourishing treatment penetrates deep into hair fibres to lock in moisture, restore lustrous shine, and shield against environmental aggressors. Ideal for dry, weak or damaged hair, the lightweight, non-greasy formula transforms dull, lack-lustre locks to leave them healthy, glossy and radiant. Explore the entire range of Hair Spray available on Nykaa. Shop more Balmain Paris products here.You can browse through the complete world of Balmain Paris Hair Spray .